Come and check out all the things Chillicothe Plumbing Supply can help you with! Not only do we have plumbing pipe and fittings, but we also carry tubs, showers, faucets, cabinets, quartz, laminate, and more! Let us help you! 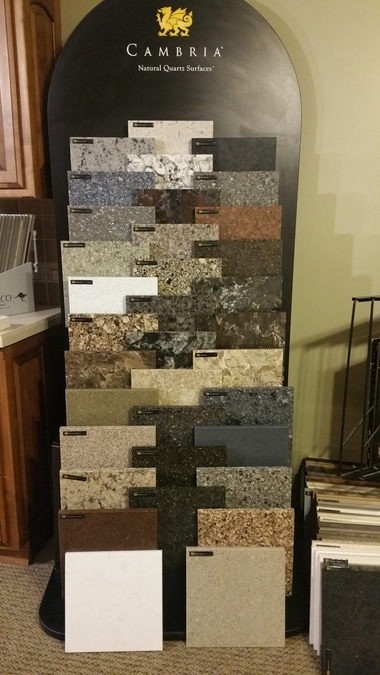 Just a part of our Cambria Quartz samples! Multiple Samples of Ceramic and Porcelain tile!